Going out tonightor simply to update your gruaig? Here are 5 easy updo's to do at home, with a few clips and a bit of back-combing and maybe an accessory or two, why not try one tonight? Often overlooked, this is a classic chic look, and super easy to do. -Section off the top part of your hair. The quiff added to a half up half down gives a punky twist to a girly favourite. -Start with poker straight hair. -Section off the top part, and then into two halves again, front and back. -Backcomb the back to medium height, and the front higher so that its higher at the front than the back, spritzing with hairspray as you go. -Run your fine-tooth comb from 1 inch from the roots at the front, back along your hair, to create a smoother look. -Run your fine tooth comb through the hair at the back lightly, to hide the clips and make the hair sit sleekly. Oh God, who has not got a crush on this girl? Ok, so this is not really an updo, but who cares? It's amazing, and so uncomplicated. -Part to the side, and section a rectangular piece off above your eye and going back about 2 inches. Bouffants and bows, what a breathtaking combination. Accessories will automatically update your style and put your own stamp on it. 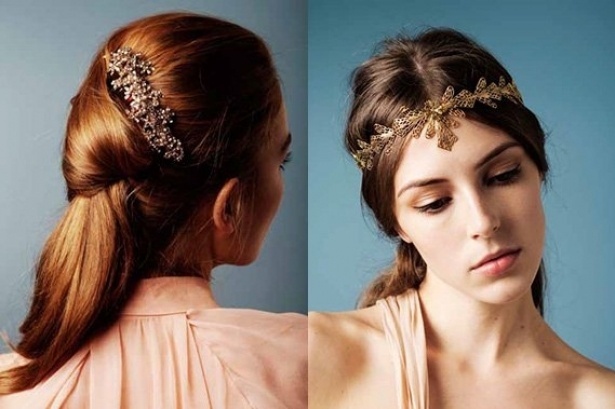 Try a velvet bow, a jewelled embellishment, or even a turban or headband for the more adventurous! 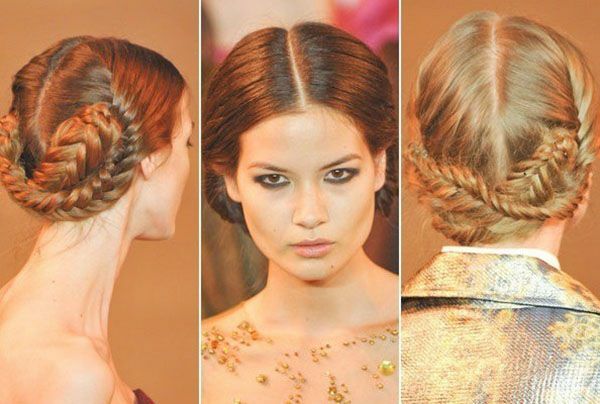 Braids are still bold for Aw13 and for Spring 2014, so get those fingers out and start braiding. 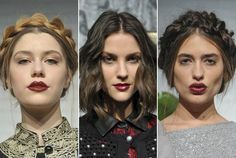 Fishtials, French, rope and the standard plait braid are the most popular. Work with mideel partings and combining braids to make different shapes. -Part hair straight down the middle, and make two "pigtails" at the baack of the head. -Wrap the two braids around each other, or sweep them across to each other, and pin with Kirby grips to secure. This does require having medium long hair, or using extensions, for instructions check out Lilith Moons youtube video here. It would take far too long to describe it on here, can you say carpal tunnel syndrome? And that's it girlies, update your updo in 5 easy ways!